We’d love your help. Let us know what’s wrong with this preview of I Heard the Owl Call My Name by Margaret Craven. Here amid the grandeur of British Columbia stands the village of Kingcome, a place of salmon runs and ancient totems - a village so steeped in time that In a world that knows too well the anguish inherent in the clash of old ways and new lifestyles, Margaret Craven's classic and timeless story of a young man's journey into the Pacific Northwest is as relevant today as ever. To ask other readers questions about I Heard the Owl Call My Name, please sign up. can you answer these questions about mark brian what is his education,his occupation,his major accomplishments,his cause of death,his age at death,his family members names,his place of residence,the place of his burial please answer as soon as possible? Charlie Ms Kline, the book is fiction. It is based on a few real events, but the priest was not named Mark Brian and he was not terminally ill. The reader knows from page one that the young Vicar Mark Brian is doomed to die from a disease of which he is as yet unaware. 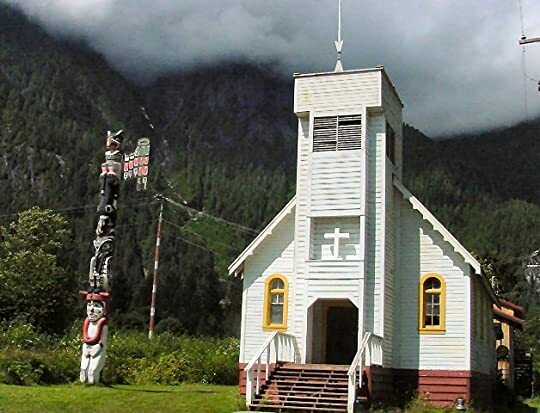 The bishop who knows about Mark's impending death wisely sends him to Kingcome (Quee in the local tongue), a remote village in British Columbia. As the novel progresses it becomes apparent why the decision is a wise one. This is how the First Nation inhabitants regard their village: “His village is not the strip of land four miles long and three miles wide that is his as l The reader knows from page one that the young Vicar Mark Brian is doomed to die from a disease of which he is as yet unaware. The bishop who knows about Mark's impending death wisely sends him to Kingcome (Quee in the local tongue), a remote village in British Columbia. As the novel progresses it becomes apparent why the decision is a wise one. During his stay Mark will get to know some of the myths and dances; he will learn the language and become part of the community. He will share their sorrows and their joy, their patience and generosity. That Mark is respectful of their culture soon becomes clear to the villagers: ““Did you notice that at the graveside he left quietly and asked no questions?” They all nodded. “He respected our customs. And what will he say when he knows we are losing our sons, and that our young no longer understand the meaning of the totems?”" This last sentence is significant as the novel addresses the issue of preservation of First Nation culture. In the story, sons and daughters leave home to be educated but lose their indigenous identity in the process. It is mostly the elders who remember the legends of their tribe. Totems are lost or destroyed along the line together with their meaning, and family treasures are indiscriminately sold. There is a prevailing sadness that eventually all the younger people would leave, and that once the older people die a culture and a chunk of history will die with them. Mark is gentle but firm, and knows when to say "no". He doesn't simply preach, but he spends most of his time helping his parishioners, transporting them, being there when they are ill or dying, and helping with physical tasks. He councils the young as they leave to be educated: "“You will be lonely, and you will be afraid sometimes. I was lonely, and I was afraid when I went to your village. Both are an inescapable part of every life.”" He participates in their activities, is there to see the salmon run (which is beautifully described) and accompanies a new friend when the latter goes hunting. Mark learns much through his interaction with the community. The novel focuses on the better attributes of human nature and (to my relief) not particularly on religion. There is abundant mention of wildlife in the novel, and there are some wonderful descriptions of nature and of people living in harmony with nature. Be prepared to laugh, smile, and shed a tear or two. "“Yes, but in the end it will be deserted, the totems will fall, and the green will cover them. And when I think of it, I am glad I will not be here to see.”"
"Both knew there was friendship between them now, forged without words and needing none." "He was alone on the float there in the wilderness, a drop of something wet on his cheek that was not rain." This book will stay with you as long as you live. I should know - I first read it nearly 60 years ago! I was a callow pre-teen. Only a few years earlier, my family and I had boarded the intercontinental trans-Canada passenger train for British Columbia. It had been my first glimpse of the Pacific. My Great-Aunt Lila and Uncle Jack had invited us for a pleasant lunch, then driven us all down to the old ferry terminal in Vancouver for the trip across the strait to Vancouver Island. And, oh, that sal This book will stay with you as long as you live. I should know - I first read it nearly 60 years ago! I was a callow pre-teen. And, oh, that salty and enlivening first breath of sea air! If you’ve never visited our continent’s Northwest Coast, you’d find yourself enraptured by that fresh salt tangy breeze. Imagine yourself there with the kid I was back then, casting croutons into the ocean as the wake of the ferry widened behind you - the warm, brash winds over the open water ruffling your hair - and watching, spellbound, those expert plummets of the raucous seabirds into the foaming wake to retrieve their midday snacks. And their wild, raucous cries! Ah, the deep blue Pacific Ocean - with its abundant evidence of undersea marine life flourishing so gloriously in that warm, deep, Alive Blue Water. Well, young Father Mark finds himself in just such a nature-reverent coastal aboriginal village as these richly painted poles suggested on that delightful day in my own life, 62 years ago. But poor Mark Brian doesn't know he has less than two years to live. But his Bishop doesn't want young Mark to know! Because, ‘If he knows, he'll try too hard,’ he says wistfully. You see, Mark is just a kid, fresh out of theology college! So Mark has to learn to EASE quickly into his role - his role as chosen local proclaimer of the coming of the Kingdom - in this remote band of aboriginal survivors on the Pacific coast in British Columbia. And to do that he needs to quickly find who he HIMSELF really IS, in a village fittingly called KINGCOME. But his quest for identity won't be easy... And telling how he pulls it off is Craven's story, and she does it brilliantly. This has been an cult classic here in Canada for many, many years. Our better booksellers STILL stock it. READ this charmingly evocative little book! If you read it through a misty, rainy Sunday afternoon, you'll feel as if you're right there with Father Mark in the sacred spaces of our West Coast rainforests, alone among a straggling, struggling band of descendants of our proud Canadian First Nations who are themselves as much at sea as young Mark himself. Well, I’ve reread this book that I first read so many years ago and I do believe, well perhaps there were one or two other books in the past that have had the same effect on me, that this is the first book that has left me with a lump in my throat and tears in my eyes when I finished it. I went to bed and finally reread the end and thought my….what an incredible wonderful work! This is such a simple story but it shines through with all the wonders of our life on this magnificent planet of ours. I live in the western world, admittedly slightly quieter here in “rusticana” in south-west France after working in bustling London, but the “goodness” that flows from this book is rather touching. 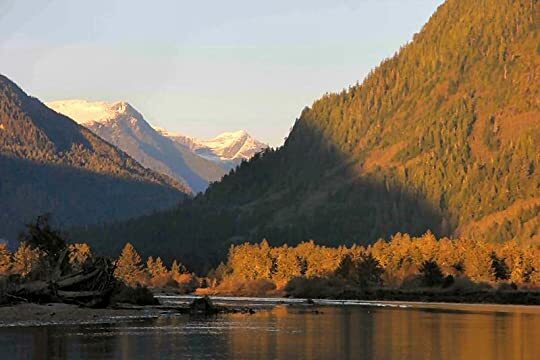 Kingcome (the native Amercans who still live there, call it Quee) is situated in the “remote Northest Pacific, and purely reading about it makes one immediately want to become a nun or a priest and follow on a spiritual pursuit of life. I even started thinking back to the days when I was mad about Buddhism and dreamed of going to Lhasa, in Tibet’s forbidden city as the French explorer, Alexandra David–Neel had done on her 1923 expedition there. “ ‘The doctor said to the Bishop, ‘So you can see, lord, your young ordinand can live no more than three years and doesn’t know it. Will you tell him, and what will you do with him? I believe that Mark was fated to go to this village in search of his own destiny. He learns all about the Indian culture and slowly but surely he is accepted into their life style. He never asks for their help but because he is who he is, the villagers end up loving him. Mark had that essential element that many people lack, that of “goodness” but he also had the quality of laugher and that always goes down well anywhere in the world, as long as you are laughing with someone and not at them. Yes, that may be correct but tacitly Mark was indeed thanked by the villagers. He had soon learned from his initial arrival that he should step back from their customs until they accepted him and gradually they did. I loved the villagers, especially Jim (who proved to be a true friend) when he met the vicar and took him by boat to the village. The difficulty in getting the organ from the boat onto the canoes that they had lashed together was indeed a feat. Old Marta, the matriarch of the village was a character, and how she responded in a quite different way to what Mark had expected her to say when he told her that he had heard the owl call his name. The difficulties of living in a vicarage that was slowly collapsing; funerals that he assisted at; the “professional mourners”, who took it in turns wailing when someone died. The discontinuation of the old funerals where the dead were buried up in the trees known as the “grave trees” (now that was a splendid idea! ); the young Indians leaving the village to go and live in the “Western civilization” but also to obtain the education that it provided. Mark’s awareness that he was a “guest” here at the beginning but gradually becoming an essential part of their sadness through death and floods but joy in their dancing, continual hope and laughter. The ending was not at all what I had expected. I had, of course, known that the vicar would die, as he was slowly becoming weaker and weaker, but then something quite extraordinary and macabre happened. This is one of those remarkable, not to be forgotten, books that I’m so glad I have. I was so delighted to see this on Goodreads this morning. My brother Ken, who lives in Kamloops, Canada, let me read this when I was staying with him; my it must have been twenty years ago, and I loved it! The actual title says it all and I'm going to purchase a copy of this and re-read it. "With stunning narrative, the plot revolves around a young dying vicar, Mark Brian, who went to an Indian village called Kingcome in the Pacific Northwest completing his last mission (though he did not know he only had three years to live). He had to overcome many great difficulties in order to help and convert these proud, Kwakiutl native people, for the old ones were unreligious while the young ones had little respects toward the old people and the old way of life. His first problem was trying to be accepted into this struggling primitive community, which was starting to be swallowed into white man's world. Then he had to help preserve the old culture of totems and salmons from being replaced by a new culture of alcoholism and residential schools. In the end he did succeed in earning respect and trust, maybe even love, of the people, but, most of all, he learnt a most valuable lesson - the acceptence of death, life and submission, as quoted by the author". I would love to read reviews of other Goodreads' readers too! The depth and majesty of this telling is only equal to its superb "eyes" for those of the tribe who live in the village of Kingcome. The natural world of the inlets of British Columbia and the path of Mark, the new vicar- are far, far beyond what only the eyes can see and the words describe. Classic. If it is not, than it absolutely should be. Would that all endings could be as worthy and dramatic as Mark's. And the acceptances of change, yet without a moment's forgetting of a giving respect and The depth and majesty of this telling is only equal to its superb "eyes" for those of the tribe who live in the village of Kingcome. Would that all endings could be as worthy and dramatic as Mark's. And the acceptances of change, yet without a moment's forgetting of a giving respect and honor to past humans' efforts for better, be as solid as the elders. When we read Margaret Craven's brilliant and evocative I Heard the Owl Call My Name in junior high (and I would consider I Heard the Owl Call my Name while not perhaps suitable for young readers, definitely both appropriate and fitting for anyone above the age of twelve or so), I just and mainly enjoyed and appreciated the author's narrative as a heart-warming and in many ways heart-wrenching reading experience (both sweet and sad at the same time, with a text that has the power to envelop, to m When we read Margaret Craven's brilliant and evocative I Heard the Owl Call My Name in junior high (and I would consider I Heard the Owl Call my Name while not perhaps suitable for young readers, definitely both appropriate and fitting for anyone above the age of twelve or so), I just and mainly enjoyed and appreciated the author's narrative as a heart-warming and in many ways heart-wrenching reading experience (both sweet and sad at the same time, with a text that has the power to envelop, to make one think, to make one laugh and also, and finally, to make one cry, but with tears that are nevertheless and all the same cleansing, healing and optimistic). Rereading this novel as an adult and for the first time in decades, and as an increasingly critical peruser who has recently become painfully aware of the fact that there has been and continues to be rather much patronising stereotyping and cultural appropriation with regard to Native American and Native Canadian culture, lore and thematics, and this is especially and even seemingly regularly the case with regard to literature for children and young adults penned by authors who are NOT of aboriginal, not of Native American or Canadian background, I have now and with increasing pleasure realised just how special and in many ways avant-guarde Margaret Craven's writing in I Heard the Owl Call my Name truly is. For the author has definitely and with grace, beauty and above all truth portrayed the lives of a people, not her own (with that I mean, not of her own ethnic and cultural background). When Mark Brian (a young vicar who is dying but unaware of this fact) is sent by his bishop (who has been informed of Mark's condition by the doctor but has chosen not to let Mark know) to minister to the Kwakiutl village of Quee (which the whites have named Kingcome), he encounters beauty, tradition and ceremony and a generation of young men and women who have become both alienated and increasingly suspicious. And it is here, it is in Quee that Mark learns how to both live and die with compassion, understanding and commitment (he was sent to minister to the residents of Quee, but it is actually more the other way around, in so far that is is they who minister to Mark, who teach him and prepare him for both life and death). A book of great beauty, with a simple, but never simplistic, spare and entrancing writing style, I Heard the Owl Call my Name has much to tell, much to teach, and without moralising, without polemic! I found the topics discussed to be all too simplified. The themes are life, death and friendship as well as how modern life is a threat to the traditions and culture of the First Nation people in Canada. Through the author's writing I did not perceive the beauty of the land. Nature writing is a theme I enjoy, but I personally didn't find it here. The language is flat. A character in the book is to die, and the way this is treated is not direct enough for me. Heap on the problems. Don’t give me th I found the topics discussed to be all too simplified. The themes are life, death and friendship as well as how modern life is a threat to the traditions and culture of the First Nation people in Canada. A character in the book is to die, and the way this is treated is not direct enough for me. Heap on the problems. Don’t give me the solution; that I will figure out myself. Religion is presented in a balanced manner. The audiobook narration is not hard to follow, but I would have preferred less theatrics in the telling. I didn’t particularly enjoy the sing-song tone. I quite simply was not the right reader for this book. I don’t want life simplified. I prefer being shown life’s complexities. I am not looking for easy answers, and that is how they are drawn in this book. Maybe, for a young adult, the book can be used as a lesson for living. I needed something short and quick to read and picked this up when I saw it at the library. I think I read it in junior high, although I may be confusing it with Hal Borland's When the Legends Die (both are books about Indians in the woods). It's a sweet, sad story about a young vicar with a terminal disease (which he is unaware of) who is sent to a parish in remote coastal British Columbia. No matter how much he does for the Indians, he is told, they will never say "thank you," because they have no word for thank you. I don't want to spoil it for you, but let's just say that friendship and love develop and Indians are able to find ways to express their thanks. And when you hear the owl call your name, it means death is nigh. Furthermore, his house had no electricity, and its tiny bathroom was so small that when he sat upon the throne-of-thought he could not shut the door without hitting his knees, which was an outrage. The young vicar suggested the teacher cut two round holes for his knees to stick through, and offered to trade his outhouse for the teacher's bathroom, but the teacher was not amused. There was one more thing he felt it his duty to inform the vicar. The vicar might as well know right now that as for himself, he was an atheist; he considered Christianity a calamity. He believed that any man who professed it must be incredibly naive. The young vicar grinned and agreed. There were two kinds of naivete, he said, quoting Schweitzer; one not even aware of the problems, and another which has knocked on all the doors of knowledge and knows man can explain little, and is still willing to follow his convictions into the unknown. "This takes courage," he said, and he thanked the teacher and returned to the vicarage. "She waited as if she had waited all her life, as if she were part of time itself, gently and patiently. Did she remember that in the old days the Indian mother of the Kwakiutl band who lost a child kicked the small body three times and said to it, 'Do not look back. Do not turn your head. Walk straight on. You are going to the land of the owl'?" I was recommended this book for my Canada project. Although written by an American, the story is set in British Columbia and tells of a young vicar who "She waited as if she had waited all her life, as if she were part of time itself, gently and patiently. Did she remember that in the old days the Indian mother of the Kwakiutl band who lost a child kicked the small body three times and said to it, 'Do not look back. Do not turn your head. Walk straight on. You are going to the land of the owl'?" I was recommended this book for my Canada project. Although written by an American, the story is set in British Columbia and tells of a young vicar who is sent to live with a native tribe. The reason for this is not much of a spoiler because it is literally written on the first page: The vicar has been sent to this particular post because his superior learned that the vicar was terminally ill and hoped that his experience with the tribe would help him cope. There is some inconsistency in the story about this because the vicar doesn't know he is ill - so, logically, the plot is not rock solid. However, there is more to the story than the vicar's impending death. Craven explores the conflicts that arise between generations, between civilisations, the impact and dependency if one looses touch with the other. "On Sunday after church the young people returned to school. Many of the tribe went to the river's edge to see them off in the canoes. And the young people regretted going and wanted to go, and the elders wanted to keep them and were relieved when they went. The little dissent went with them, and the village was at peace." "You suffered with them, and now you are theirs, and nothing will be the same again." This was a re-read for me, but it might as well have been my first time, I remembered so little. Mind you, I think I was in my teens when I read it the first time. My only memory of it was a feeling of melancholy. The young vicar, Mark, is sent to the Kwakiutl village of Kingcome by his bishop, who knows Mark has a terminal illness, but chooses not to tell him. In our 21st century culture of consent, this just wouldn’t happen anymore. No doctor worth his or her salt would let a patient out of the This was a re-read for me, but it might as well have been my first time, I remembered so little. Mind you, I think I was in my teens when I read it the first time. My only memory of it was a feeling of melancholy. The young vicar, Mark, is sent to the Kwakiutl village of Kingcome by his bishop, who knows Mark has a terminal illness, but chooses not to tell him. In our 21st century culture of consent, this just wouldn’t happen anymore. No doctor worth his or her salt would let a patient out of the office without informing him of the diagnosis. It struck me during my reading how residential schools are mentioned matter-of-factly. How the clash of cultures becomes intense as the children come home for Christmas. The pain of the parents as their children are pulled towards the outside world and away from the old ways. The enticing lure of education and modernity for the children. Although Mark is nominally in the village to minister to the community, it is he who receives the majority of the spiritual benefits. In his tenure in Kingcome, he learns more of friendship and community than he ever anticipated—and this is why his bishop sent him there. I shed a few tears at the end and found that my only memory of melancholy was wholly accurate. The young vicar stopped his patching and descended the ladder. "Chief Eddy," he said earnestly, "there is something I have been meaning to ask you. How do you pronounce the name of your tribe?" It is spelled Tsawataineuk. "Would you mind saying it again?" "Jowedaino," and Mark listened more carefully than he had ever listened to any work in his entire life and could not tell if the word was Zowodaino or Chowudaino. "And the name of the band to which your tribe belongs?" which in the books of anthropology is written Kwakiutl. "Kwacutal," and Mark listened and could not tell if the word was Kwagootle, Kwakeetal or Kwakweetul. "And the name of the cannibal who lived at the north end of the world?" "Bakbakwalanuksiwae," and it came from the chief's lips like a ripple. 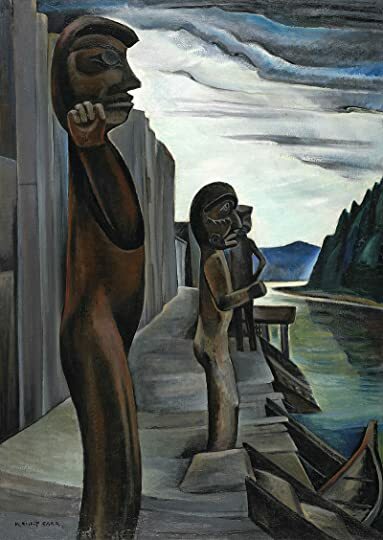 American author Margaret Craven (1901–80) first heard about the Kwakwaka'wakw (Kwakiutl) culture on the coast of British Columbia from her brother, who had visited there, and arranged with the Columbia Coast Mission of the Anglican Church to see for herself. The immediate result was this short novel, published in Canada in 1967 to great acclaim, and in the US in 1973. In that it is fiction, the story is quietly affecting. But you also see the non-fiction writer building on her travel journal, compiling native legends and traditions, and making a plea for the preservation of a First Nation culture that was quickly being obliterated by the modern world. Both elements have their place, but they do not necessarily combine into a strong novel. The premise is artificial but effective. A doctor tells a bishop that a young ordinand has less than three years to live, though he does not know it. The bishop decides not to tell the young vicar, in case it should make him try too hard, but sends him to the parish where he feels he will learn most quickly: the village of Kingcome, at the head of the Kingcome Inlet off Queen Charlotte Sound. The young vicar, whose name is Mark Brian, is given an Indian boatman to look after him for the first year. He sails upriver to his new parish, where he finds the people welcoming but both vicarage and church in poor repair. What follows is much like an Anglican version of Willa Cather's Death Comes for the Archbishop moved to the Pacific Northwest. Mark is naive but touchingly humble. For example, when the bishop offers to send him a prefabricated vicarage to replace the old one, he defers, preferring first to make the repairs with his own hands. When the new building does arrive a year or two later, all the men in the village now turn out to help him, for he has won their trust and in all sorts of ways made himself part of their lives. Although Mark is an Anglican vicar, religion is not a major theme of this book, but as much the background to his life as are the forests and mountains surrounding the village. He does not waste time thinking whether the ancient ceremonies and totems conflict with the Christian faith, but celebrates their importance to the tribe. When a young woman returns from the outside world pregnant with the child of her former boyfriend who has decided to remain there, Mark replies, "What you have done is strange to me, but I think I understand it"—which is, of course, to return part of the heritage to the village that gave them birth. Perhaps Mark is too good to be true, and the Biblical simplicity of the writing often reads more like fable than modern fiction, sometimes requiring a little indulgence from the reader. Soon the huge flights of snow geese would fly over the river on their way back to the nesting place, the spring swimmer woulf come up the river to the Clearwater, and on the river pairs of cocky, small, red-necked sawbills would rest, the father flying off when Mark passes and the mother pretending she had broken a wing to lead him awaw from her little ones. And each would feel the pull of the earth and know his small place upon it, as did the Indian in his village. He went slowly up the river. In front of the vicarage he anchored the boat and waded ashore. He trudged up the black sands to the path and stopped. From the dark spruce he heard an owl call—once, and again—and the questions that had been rising all day long reached the door of his mind and opened it. This is a classic work of fiction by an American journalist who lived for a time among the Indians of the small remote village of “Kingcome” on the coast of British Columbia, and wrote this book at the age of 69 in 1967. The story follows young Vicar Mark Brian as he’s chosen by the Bishop who knows him to be terminally ill and who decides to provide an experience that will most enrich his last years which is to labor among the Indians who still live in the village unspoiled by civilization. Of c This is a classic work of fiction by an American journalist who lived for a time among the Indians of the small remote village of “Kingcome” on the coast of British Columbia, and wrote this book at the age of 69 in 1967. The story follows young Vicar Mark Brian as he’s chosen by the Bishop who knows him to be terminally ill and who decides to provide an experience that will most enrich his last years which is to labor among the Indians who still live in the village unspoiled by civilization. Of course we know that those who seek to serve are often the recipient of much more than they give, and thus it is here. It’s a short book, but one that will stay with you especially the last chapters. A rather enchanting and beautiful story that captures both the vicar's thinking and the tribe's, somehow, in the words used. The language is spare and to the point - carved into a story like one of the masks. The Bishop is astonishingly wise, which is a bit hard to credit (Bishops being usually administrative rather than pastorally talented in my experience). But he had done his time there also. I cried at the end - not a common event for me. I was completely taken by surprise by the people's acc A rather enchanting and beautiful story that captures both the vicar's thinking and the tribe's, somehow, in the words used. The language is spare and to the point - carved into a story like one of the masks. The Bishop is astonishingly wise, which is a bit hard to credit (Bishops being usually administrative rather than pastorally talented in my experience). But he had done his time there also. 5 stars for teaching me about Life. In its pages, I glimpsed something magical and meaningful, some truth about life. I think it helped shape who I am, at least a little. Craven's simple spiritual style is vaguely reminiscent of Hermann Hesse's writing. She captures the spirit of the Kwakiutl, both people and landscape, with a similarly quiet intensity. The story itself is one of a young Anglican priest named Mark who is sent to a remote native village on the British Columbian coast after he is diagnosed with only a couple of years to live. He is not aware of it at the time and sets about trying to win the respect of the people whom he must tend to. I was drawn in Craven's simple spiritual style is vaguely reminiscent of Hermann Hesse's writing. She captures the spirit of the Kwakiutl, both people and landscape, with a similarly quiet intensity. This is a beautiful short novel, the story told in spare, simple, stark prose, each word evoking the setting, the people, and their emotions. I'm not ashamed to say I had tears in my eyes in many parts of the novel, and even wept at the conclusion. A young Anglican priest, Mark, ailing [with what I am guessing is cancer, although we never know for sure], with only two years to live, is sent by his bishop to minister to a Kwakiutl Indian tribe in British Columbia. The old canon, Caleb, who accomp This is a beautiful short novel, the story told in spare, simple, stark prose, each word evoking the setting, the people, and their emotions. I'm not ashamed to say I had tears in my eyes in many parts of the novel, and even wept at the conclusion. A young Anglican priest, Mark, ailing [with what I am guessing is cancer, although we never know for sure], with only two years to live, is sent by his bishop to minister to a Kwakiutl Indian tribe in British Columbia. The old canon, Caleb, who accompanies him when he first arrives, has some advice for him: "Be sorry for the Indians. [Never forget] you know nothing and they must teach you." Mark is humble and learns from these people. Mark and the villagers grow in mutual respect and love of each other. Mark shares their joys and sorrows. They finally fully accept him into their midst. The older generation is saddened by the knowledge that many of the younger generation want to leave and to learn the ways of the white man. The old people are also in anguish over the gradual slipping away of the Indian heritage and folkways. 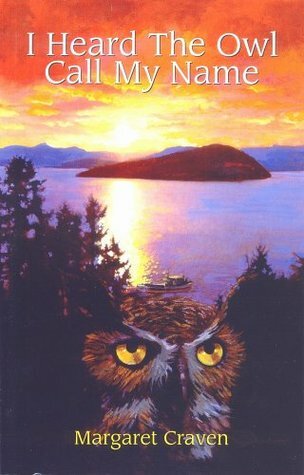 I liked the telling of the old Kwakiutl myths, most involving animals, fish, birds--among them the owl, whose cry is the harbinger of death--and the importance of the cedar tree to the Indians' way of life. Several major customs are explained, such as that of the potlatch-dance, a gigantic festival and dance, resulting in gifts for all, and the totem pole near the little church of St. George, with "Cedar-Man" holding up the other figures. The narration of Mark's first Christmas Eve service was moving. The novel was an incisive portrayal of an Indian tribe, maybe one of the best there is, although the story was fictional. The author brought that world to life to me through her well-written descriptions, using only a few well-chosen words. This book touched me in its calm and unspectular language and pace that matches life in this Indian village where a young vicar finds a whole new world - and a home. "And what had he learned? Surely not the truth of the Indian. There was no one truth. He had learned a little of the truth of one tribe in one village. He had seen the sadness, the richness, the tragic poignancy of a way of life that each year, This book touched me in its calm and unspectular language and pace that matches life in this Indian village where a young vicar finds a whole new world - and a home. For such a short book, I think that's an amazing achievement! The setting is a young priest sent to work on a native american reservation in the pacific northwest. Once you get past the implausible set-up (i.e., young priest is terminally ill, but will be healthy and symptom-free for two years; doctor tells the priest's SUPERVISOR/bishop this diagnosis but hides it from the priest), it is a pleasant story about friendships that develop across cultures. There isn't a lot of action - it's more just a slice of life - but the characters are strong enough to hol The setting is a young priest sent to work on a native american reservation in the pacific northwest. The setting. The characters. The sentiment. Based on comments from one of my friends, I didn't expect to like this book. But I thoroughly enjoyed it. Maybe it wasn't her type of story. A quiet, contemplative book. If you're looking for a nice little piece that provides lovely description of the Pacific Northwest in a remote native village, this will suit you. It does touch on the meaning of life, as well as death, so it's sort of a "big themes" in a little package type of book.